Chatham Connection: Courtney lived in Chatham from 1999 to 2005. During that time she was an active member of Theatre Kent. Courtney worked for them for several years teaching drama courses and their amazing TK Wings Summer Camp. She acted as a councillor and and then graduated to take on the Co-ordinator position. 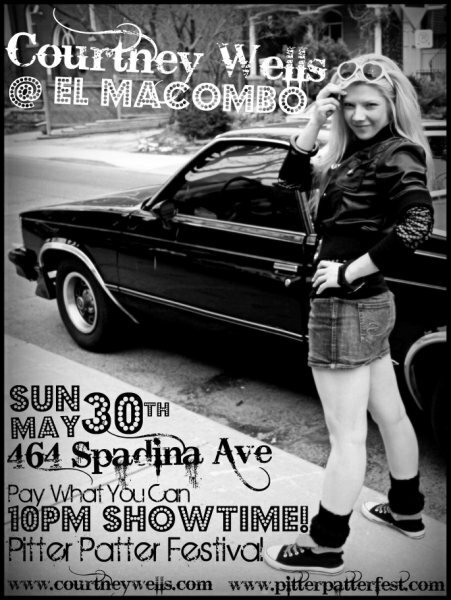 It wasn’t until her recent move to Toronto, that she began to pursue music. Her talents in stage and dance will lend a great hand in her music. See her return to Chatham in 2011. Jan 7 (Fri) Courtney Wells @ Encore. 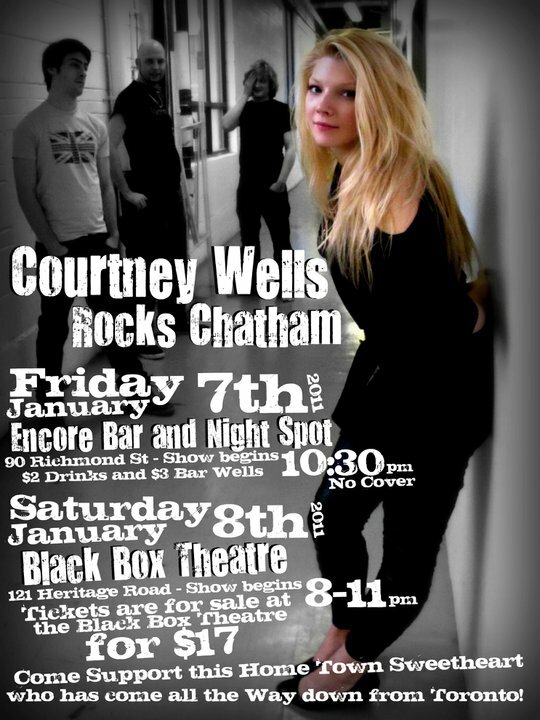 Jan 8 (Sat) Courtney Wells @ PURE Black Box Theatre. You are currently browsing the Chatham Music Archive blog archives for January, 2011.